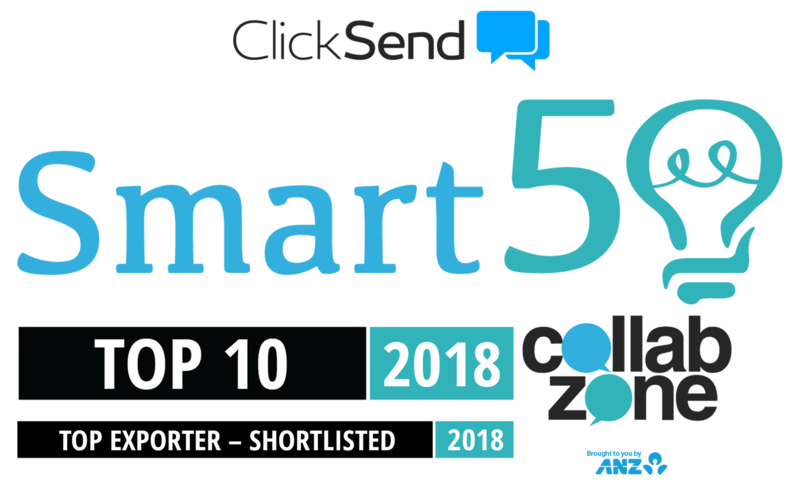 Australian businesses embracing technology have once again dominated SmartCompany’s Smart50 Awards this year, sponsored by ANZ Collab Zone. The annual awards, which have previously included Atlassian, Vinomofo, Adore Beauty and many others, recognise year on year revenue growth over the last three years. Founded in 2013, Melbourne-based energy assessment service, Choice Energy, has taken top place in this year’s awards, having doubled the size of its business in 2017-18 with revenue growth of 631% since 2015 to $10.5 million. Choice touts itself as an energy expert that helps clients such as Caltex, Mitre 10, Red Rooster and IGA negotiate competitive energy contracts with savings between $50,000 and $2 million. In 2016-17, founders Alan Gill and Christopher Dean changed their entire value proposition after businesses began consuming less grid power due to more energy efficient technologies and solar. In response, Choice honed in on changes to the power distribution model that opened up an opportunity to help clients meet their energy targets more efficiently, known as “power factor correction”. “When the distributors moved the goalposts on our customers, we were agile enough to respond with our holistic approach to energy, allowing our customers to continue saving,” Gill told SmartCompany. Coming in at number two on the list is Soar Aviation, which was founded in 2013 with the goal of addressing the global shortage of commercial pilots by offering training and accreditation through a Victorian-based flight school. Headed up by 28-year-old and sole founder Neel Khokhani, Soar has grown 586% over the past three years, posting a revenue of more than $12 million in the last financial year. The founder believes the business’ success is due to a more modern approach to flight training by using a fleet of 45 light sports aircrafts, which contribute to lower fuel costs and lower emissions. Khokhani started the business with just $5,000 and recently sold half of the business to private equity fund The Growth Fund, saying the move brings him “perceptibly closer” to his long-term goal of running his own airline. At number three on the Smart50 list is Code Camp which started as a hobby in co-founder Hayley Markham’s kitchen and is now in 150 schools across Australia and expanding internationally. To date, the startup has taken its four levels of coding classes to 40,000 children aged as young as five, teaching them how to make their own video games, and imparting a soon-to/be crucial life skill at the same time. “With coding becoming more of a core skill, not a specialist skill, the need to teach the younger generations the language of the future is becoming more evident,” says Markham. The business is expanding internationally, as well as developing outreach programs for disadvantaged kids. Markham is also committed to getting more girls into tech. Currently, the programs run at a 60/40 boy-girl ratio, but she is working towards 50/50. This starts with hiring women as teachers and role models, she says. Other winners in the top ten include BrandLink, Car Next Door, ClickSend, FitMyCar, Alley, King Kong and GetCapital. The Community Hero award went to Booktopia, while Mountain Bikes Direct were recognised as Top Marketer; FitMyCar as Top Exporter; Coastal Transport Services as Top Regional; KX Pilates as Top Franchise; Elmo Software as Top Innovator and Tentworld as Top Retailer. The inaugural StartupSmart Award was awarded to Foodbomb. Hunter Mason, who have appeared in the list consistently in recent years, were awarded the Smart & Lasting Award. 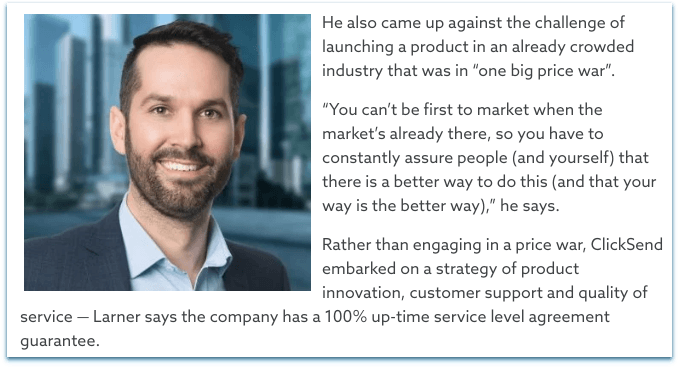 “The companies who took home this year’s Smart50 awards showcase the best parts of Australian small business, from fearless innovators to humble community heroes. “Congratulations to all the winners and those who were shortlisted, SmartCompany is proud to be able to recognise the key players who form the backbone of Australia’s thriving economy,” s ays SmartCompany Features and Profiles Editor Dominic Powell. SmartCompany’ s 2018 Collab Zone Smart50 Awards, which were hosted by comedian, broadcaster and Shebah founder, George McEncroe, were announced in Melbourne on Thursday 22 November at Long Song restaurant. Acknowledging Australia’s fastest-growing SMEs, the Smart50 Awards, now in its 12th year, is a list of 50 independent companies ranked according to overall revenue growth over a three-year period. To place on the list, companies must have recorded revenue of more than $500,000 and be able to show revenue growth for the past three financial years. For interviews or more information on this year’s Smart50 contact the SmartCompany editorial team at news@smartcompany.com.au .